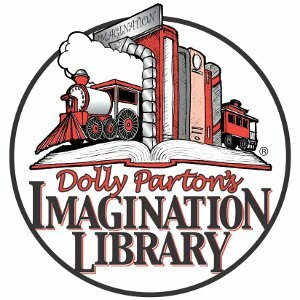 Country legend Dolly Parton has donated her 100 millionth book via her Imagination Library foundation. The Jolene superstar has been spearheading her global book donation drive to families in need for the past two decades, and on Tuesday (February 27), she hit a new milestone in her child literacy initiative after handing over copies of her own kids' story, Coat of Many Colors, to young fans at the Library of Congress in Washington, D.C. Her book has also been added to the institution's collection, and Dolly admits the special event was truly touching, because Coat of Many Colors was inspired by her late mother, Avie, and her Imagination Library was set up in honor of her father, Robert Lee, who never had the opportunity to learn how to read or write. "Yesterday, when we put the book in the Library of Congress and that made the 100 millionth book (donation), I really felt like mummy and daddy was just up there looking down, thinking, 'You go! '," Dolly told breakfast show Good Morning America on Wednesday (February 28), "so I felt really proud that I could honor mummy and daddy with that whole thing. "When things like that happen, it makes you feel proud, makes me feel proud of who I am, where I'm from, and of my people, and of the fact that I'm in a position to help people, especially the kids, 'cause I love kids." Dolly, who is a firm believer in the power of children's education, continued, "If you can teach children to read, that teaches them to dream, and if you can dream, you can be successful, and if you're successful, you've got a good life ahead of you." The 72-year-old singer's Washington, D.C. appearance also marked the start of a new partnership between Dolly's Imagination Library and officials at the Library of Congress, where they will hold monthly storytime sessions for youngsters from March to August.